IllumiNations Fireworks, lasers, fountains, and music show at Epcot, beginning on January 30, 1988. Superseded Laserphonic Fantasy. General Electric sponsors this nightly show, during which different pavilions of World Showcase are individually spotlighted, accompanied by music associated with that particular country. Lasers synchronized to music blast from the tops of many of the buildings across the lagoon. The climactic fireworks and triumphant symphonic music provide a thrilling end to a day at Epcot. A special new version of the show, called IllumiNations 25, was created for the 25th anniversary of Walt Disney World in 1996-97. 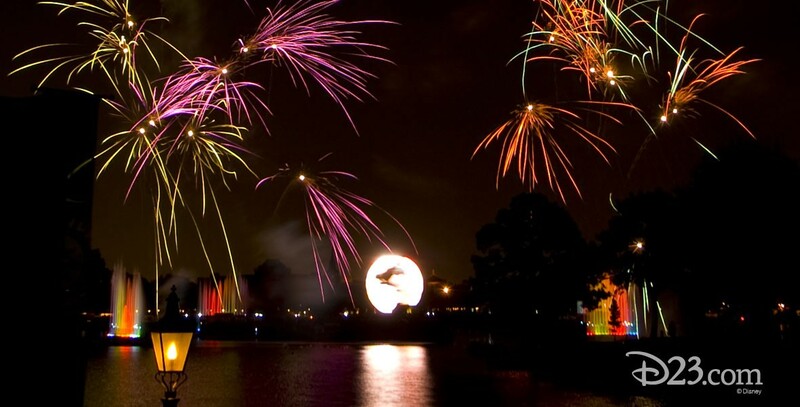 Another version, IllumiNations 2000: Reflections of Earth, was introduced October 1, 1999, for the millennium, and it continued thereafter, dropping the “2000” from its title. General Electric ended sponsorship on December 31, 2002.